Texas Penal Code Article 22.07: Terroristic Threats, what are they? For some of us, when we hear of a person making terroristic threats we think of a person causing trouble for political or religious reasons. But, according to the Texas Penal Code, just the mere threat of violence to a person or a person’s property is enough and the purpose behind the threat is not considered. You can be charged with a terroristic threat charge if you threaten violence to a person or their property and (1) cause any type of reaction from an officer, volunteer, or any other agency that deals with emergencies; (2) put ANY person in fear of immediate injury to their self (3) prevent the use or interrupt the use of a building, public place, employment, aircraft, automobile, or other public place (4) cause interruption with any public communication, transportation, public water, gas, or power supply or any other public service (5) put the public or a number of people in fear of bodily harm or (6) influence the conduct or activities of a branch or agency of the federal government, the state, or a political subdivision of the state. Nowhere in the code is it defined that these threats must be made with any sort of political or religious views as the basis of the threat. So basically under section (2) of 22.07 the State could snag anyone with this charge if that person threatens serious, immediate violence to a person who believes that an injury is immediate. Which is similar to Penal Code 22.01 Assault, where a person threatens another with immediate injury to their body. Pardon the generic title, but I need the internet to know that the Guest and Gray Rockwall Criminal Defense office is for business. Our firm been taking cases in Rockwall for years and we decided it would better serve our clients to open an office there. If you are searching for a Rockwall criminal defense lawyer let me take this moment to introduce myself. I’m Robert Guest, Chief of the Criminal Defense Division. 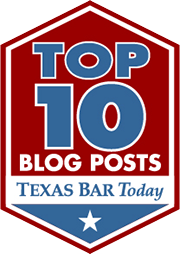 I’ve been blogging about criminal defense for a few years now. There is some great information available on the left, sorted by category. I’m a true believer member of the NORML legal committee. I think it’s insane and immoral that we arrest pot smokers, sellers, retailers, dealers etc. So if you are charged with a drug crime and want a lawyer who won’t judge you and thinks the drug war is a crime against humanity, consider our firm (and check out my War on Drugs posts). I’ve been working criminal cases for a decade now. I prosecuted for 2 years, and my former blog was called “I Was The State”, which morphed into this blog. Being a former prosecutor has some advantages, but really it’s overrated. Clients like to know that you use to prosecute, but prosecuting doesn’t teach you anything about defending a case at trial, or investigating a case. It does offer some insight into criminal law, law enforcement, and it gives you a chance to watch some good defense lawyers try cases. Looking back on it, prosecuting was the easiest job I ever had as an attorney.